Figure 3. 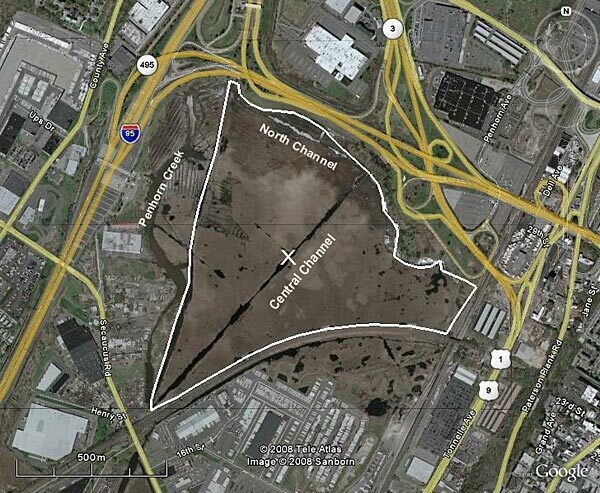 Map of Upper Penhorn Marsh study area in the Hackensack Meadowlands, New Jersey. 'X' marks the approximate location of the largest frog chorus at the intersection of the central channel and a smaller side channel. Boundaries of area surveyed for calling frogs are shown in white.